Harnessing the power of AI to meet global challenges. The Wadhwani Institute for Artificial Intelligence is an independent, non-profit research institute and global hub, developing AI solutions for social good. At Wadhwani AI, the people we are working to help, stay at the core of everything we do. Based in India, we have direct access to local communities and other stakeholders which gives us a uniquely empathetic, deeply-rooted understanding of the challenge. Our team uses its global lens to then create solutions that are applicable across the world. And we measure our success based on the impact we are able to catalyse. At Wadhwani AI, we measure our success based on our impact, and keep the communities we are trying to help, at the core of our solutions. To identify the areas in which AI can make a difference, we collaborate closely with our partners such as non-profit organisations, governments, companies and academic and research institutes. Working with them, we build datasets, develop and test solutions, iterate, and scale. We push our innovations out of the lab and into the field quickly. We interact frequently with beneficiaries, users, and decision makers in order to develop insights critical to our AI efforts. Our work is open access and free for use towards improving the lives of others. Our mission is to also facilitate an active dialogue between the research community and the broader public to explore the ethical dimensions of AI research and implementation. It is important to us to establish guidelines for the use of AI, so we can ensure and publish best practices, keeping in mind the well-being of those who are most vulnerable in our society. Despite the global attention and the expectations placed on it, the benefits of Artificial Intelligence will be limited to less than 50 per cent of humanity - those who are economically comfortable and are able to access it. More than half of humanity still lives under in poverty or near-poverty and the vast power of AI is not likely to affect their lives. The premise behind what we are doing at Wadhwani AI is the belief that AI can help address the knowledge and expertise gap that limits progress in improving the lives of economically-challenged communities. Our mission is to develop and apply AI-based innovations and solutions for a broad range of societal domains including healthcare, agriculture education, infrastructure, and financial inclusion. In this age of AI, a key component of global public health is empowering primary health facilities and health workers with technology to improve maternal and child health. Despite remarkable improvements over the past decade, enough significant progress has not been achieved on some problems. For example, low birth weight babies account for 48 per cent of newborn deaths. 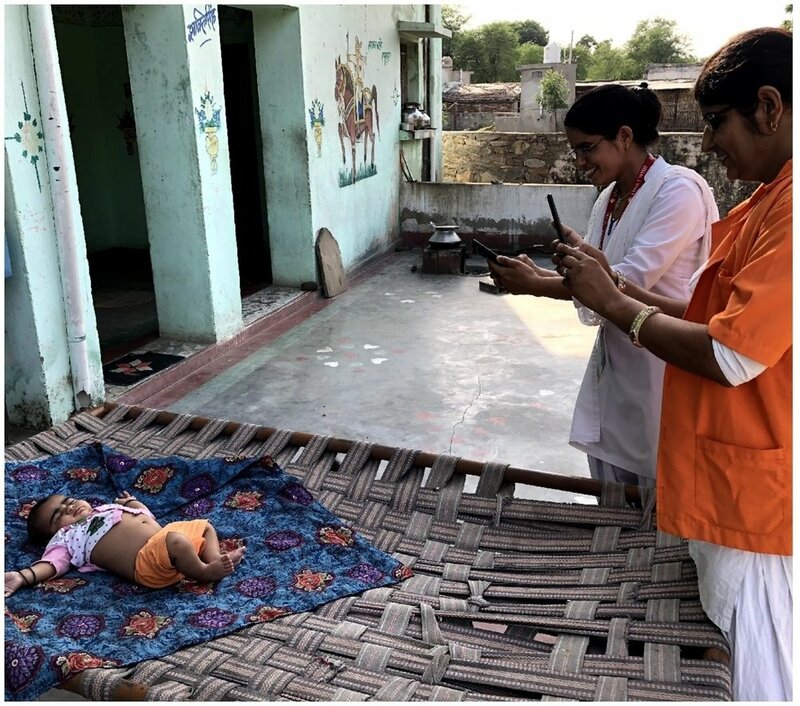 At Wadhwani AI, we are creating a smartphone- based anthropometry technology which will allow frontline workers to screen for low birth weight babies in rural homes. This AI-powered virtual weighing machine will provide accurate, tamper-proof, geo-tagged measurements on a smartphone. There is no need for additional hardware or data connectivity. We currently have a preliminary proof of concept working in the simulation environment and are targeting field experiments starting August 2019. More people die of tuberculosis than of HIV and malaria put together. In 2016, there were 10.4 million new active TB cases and 1.7 million deaths worldwide. It is estimated that as many as 50% of TB cases may go unreported and unknown. In January 2019, Wadhwani AI became the official AI partner for India’s Central Tuberculosis Division. What works to our advantage is the fact that circumstances are conducive to our work – there already exist a centralised strategy and execution; dedicated government staff and budgets; support from organisations such as WHO; strong digital infrastructure, and multiple touch-points across a patient’s journey. Cotton is one of the largest cash crops grown globally. It is India’s third largest crop after rice and wheat and 75% of it is grown by small-holder farmers who struggle with uncertainty in yield and income. One of the critical challenges they face is the inability to manage pests despite heavy usage of pesticide. Nearly 100,000 cotton farmers committed suicide in 2017-18 after a pink bollworm attack destroyed 40% of their yield. At Wadhwani AI, we are working towards creating technologies that will help reduce crop losses through integrated pest management. We have already developed algorithms that detect two major pests, and have completed field demos in partnership with the Better Cotton Initiative and the Government of Maharashtra. We aim to develop a more comprehensive pest management tool ready for testing by October 2019. Join us in bringing AI to the underserved billions. Our partnerships engage diverse capabilities, perspectives, and enable us to tackle big problems. Our partnerships engage diverse capabilities and perspectives, enabling and empowering us to solve large, complex problems. Our team collaborates with, and hosts researchers and research groups from some of the world’s leading institutions. We have research collaborations with Carnegie Mellon University, New York University, Stanford University, the University of Southern California, and the University of Washington. As a global hub for open innovation, Wadhwani AI welcomes faculty researchers, postdocs, and student interns and connects them with domain experts and organizations working in areas of their interest. If you are interested in joining our team, please look at our careers page for open positions. As a global hub for open innovation, Wadhwani AI welcomes faculty researchers, postdocs, and student interns - and connects them with domain experts and organizations working on problems of their interest. If you are interested in joining our team, please look at our careers page for open positions. Our mission is to also facilitate an active dialogue between the research community and the broader public to explore the ethical dimensions of AI research and implementation. It is important to us to establish guidelines for the use of AI, so we can ensure and publish best practices, keeping in mind the wellbeing of those who are most vulnerable in our society.